FRANKFURT (Bloomberg) -- European new-car sales rose 11 percent in August, the second-largest gain this year, as rising economic confidence boosted sales of SUVs from Renault, Citroen, BMW and Mercedes-Benz. 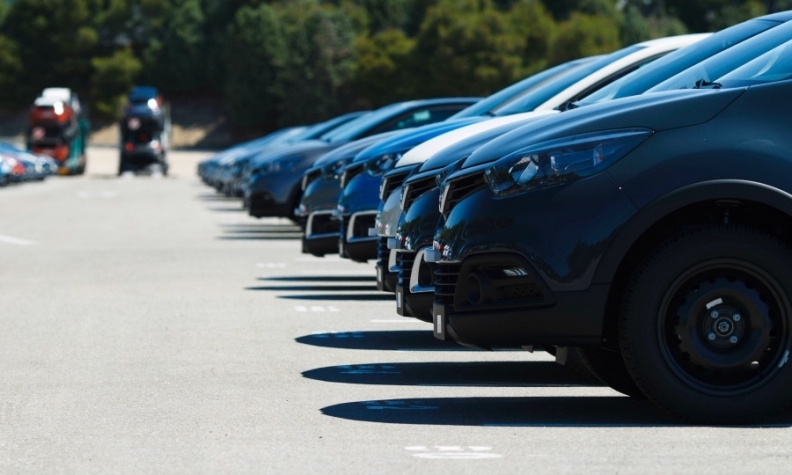 Registrations jumped to 781,676 vehicles last month from 701,251 a year earlier, industry association ACEA said in a statement today. Eight-month sales increased 8.6 percent to 9.38 million autos. That included growth of 9.5 percent in July. European sales of Renault Group’s main brand increased 20 percent in August, helped by the introduction of the Kadjar compact SUV and continuing momentum from its smaller Captur crossover. Rival PSA/Peugeot-Citroen posted a sales gain of 9.2 percent in the region, as the C4 Cactus helped propel a 14 percent jump at the Citroen marque. BMW Group's companywide European deliveries rose 21 percent, with the main namesake brand posting a 17 percent increase and demand at the Mini unit, which has renewed its lineup, surging 37 percent. BMW brand is attracting customers with the coupe-like X4 and X6 SUVs, and is presenting the latest version of the X1, its smallest offering in the segment, at the Frankfurt auto show this week. Mercedes, which may overtake Audi as the world's second-biggest luxury-car brand this year, sold 19 percent more vehicles as its GLA compact SUV wins new customers. Volkswagen Group reported a 5.7 percent sales gain in the region last month, with jumps of 34 percent at the Porsche brand, 12 percent at the mass-market Skoda division and 8.2 percent at Audi. Ford Motor sold 8.3 percent more cars in Europe, while General Motors Co.'s Opel and Vauxhall brands posted a 15 percent jump, helped by the Mokka subcompact SUV. Europe is a rare bright spot for automakers as slumps in once-hot markets such as China, Russia and Brazil are set to sap global growth this year. Volkswagen forecasts that global car-industry sales will be flat at 75 million vehicles in 2015, CEO Martin Winterkorn said in an interview with Bloomberg Television. He expects emerging markets to bounce back eventually. A European Commission index of executive and consumer confidence in the countries using the euro rose in August to a four-year high following a decline in unemployment a month earlier. ACEA reports figures from the European Union countries, excluding Malta, as well as Switzerland, Norway and Iceland.